Standing just over two feet tall, African penguins can be found on the coast and islands of Southern Africa. They're the one species of penguin acclimated to warm weather. They live in colonies, mate monogamously, and can dive underwater for up to 2.5 minutes while trying to catch small fish like sardines and anchovies. They're sometimes called "jackass penguins," not because they're particularly impolite compared to other birds, but because they make donkey-like noises to communicate. Unfortunately, these awesome birds are classified as an endangered species. In 1900, there were about three million African penguins. As of 2015, the number of adult penguins was down to about 50,000. One major reason for the fall-off is a lack of breeding sites. 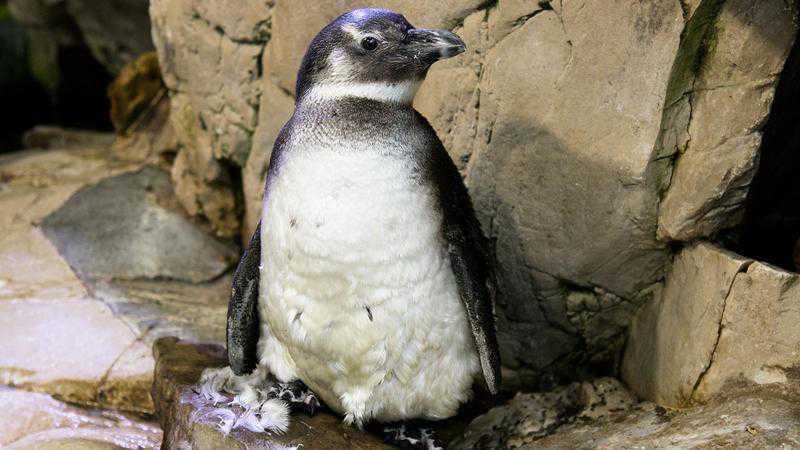 African penguins dig their nests in guano. If you're a smarty pants or an "Ace Ventura" fan, you'd know that guano means poop. Because companies have been mining guano to use as fertilizer, the birds have nowhere to breed, leading to their steady decline. But it's not too late to turn things around! Members of the Association of Zoos & Aquariums (AZA) from around the world have joined forces help save these tuxedo-wearing birdies. Their solution: eco-friendly artificial nests. Handmade nests are made of two-part ceramic composite with a resin hardener. And they're totally recyclable after their estimated 15-year life span. Researchers spent three months testing 15 different nest prototypes before arriving at their final design. 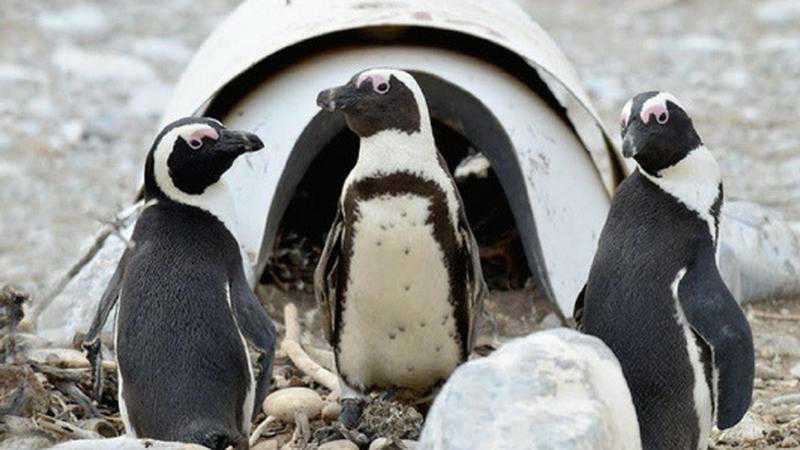 A successful Kickstarter campaign will place 2,000 of these artificial nests in penguin colonies across South Africa and Nambia. When the campaign ended, the researchers had reeled in $43,000 more than their initial goal. Even more incredible: five donors chipped in at least $10,000 each. African penguins are an indicator species. This means their condition gives researchers a sense of how their whole ecosystem is faring. Because the African penguin is endangered, it's clear that their ecosystem is at risk, too. Humans may have contributed to the decline of these penguins, but our actions can give them a chance for survival.